Although the prospect of owning a home appeared to be daunting at first, 32-year-old Shasha Thorpe, a visually-impaired teacher, was determined to accomplish her dream of homeownership. “I desperately wanted a house; I was hungry for it,” she stressed. Miss Thorpe, who had been living on her own since age 18, disclosed that over the years, she has lived in about 10 different places, most of which were rented. She revealed that, as a result of her disability, other tenants and even landlords, would take advantage of her possessions. “I once had a landlord who would use my groceries. I had another landlord who kept asking for the rent, long before it was due. He even allowed the water to be cut off, because he wasn’t paying the bill. I also had tenants who would use my appliances. One tenant had her boyfriend coming over and using my things,” she related. Those and other experiences prompted Ms Thorpe to actively pursue owning a home. 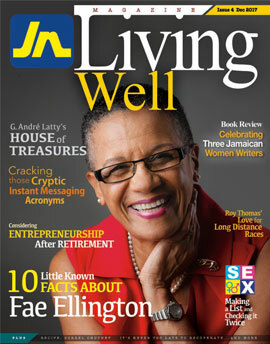 Her approach was to begin saving towards the down payment for her home, which included making many personal sacrifices. Despite her ardent effort to save, she managed to come up with only half of the required deposit for her house. A loved one, who is like a mother to her, pitched in to lend her the difference. Her benefactor, Yvonne Brown, was also instrumental in helping her to realise her dream. 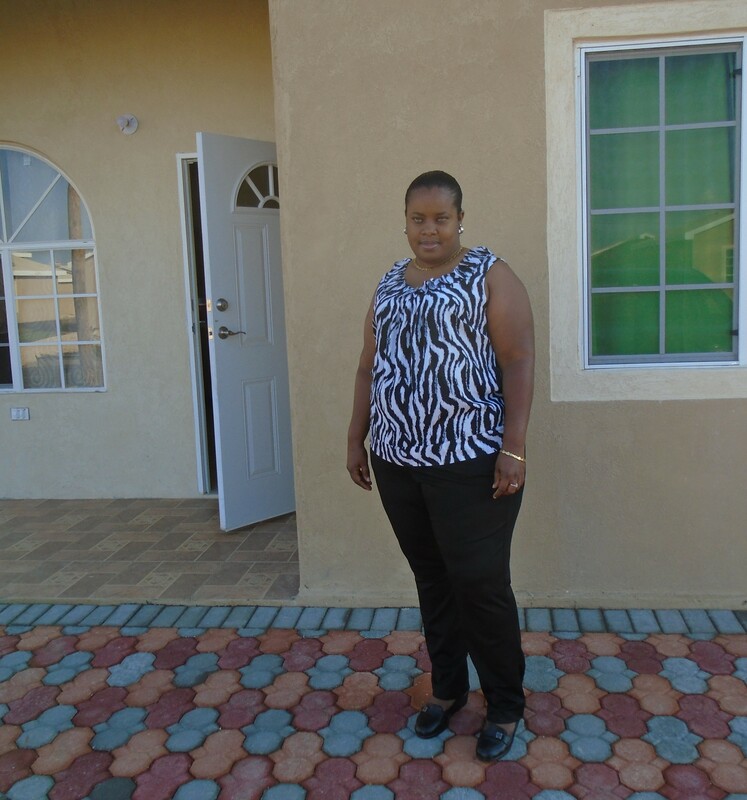 Her persistence paid off in a big way, when she recently collected the keys from the developers for her two-bedroom house in a community in St Catherine. Ms Thorpe pointed out that the house was a well-timed gift, as she received the keys to her home only a few days after her birthday. Ms Thorpe, who lost her sight at 22-years-old due to glaucoma, a hereditary condition in her family, related that with support from her friends and family, who came over to clean and arrange the furniture, she moved in two days later. And, she hosted a “house warming” the following day, which was attended by her family and friends. Among those whom Ms Thorpe expressed thanks to was Tanya Lindo, her mortgage sales officer at the JN Bank Mortgage Centre in New Kingston, who processed her mortgage application. It’s been a few months since Ms Thorpe settled in her new home. She enjoys the new environment, particularly because of her large backyard, and the caring neighbours she has met. Petal James, head of mortgage sales at JN Bank, pointed out that many young persons like Ms Thorpe have achieved their home ownership as a result of maintaining a disciplined saving habit. “It is important for prospective homeowners to save towards the deposit to acquire their home, which can be between five and ten per cent of the cost of the property. Besides, there are other costs involved, such as closing costs, which are approximately three to five per cent of the cost of the property. In addition, escalation fees could be from five to ten per cent; and, there are: legal fees, transfer tax and stamp duty, which could amount to an additional four per cent of the going purchase price,” she explained. Ms James also pointed out that once the deposit is made and all the required documents are submitted, the mortgage can be disbursed in less than 30 days. “Homeownership is a rewarding achievement. Many other young persons should start to pursue their dream from the moment they enter the workforce,” the head of mortgage sales maintained.